Featuring of powerful syllable, mantra and beautiful peacock feather, this magnificent Peacock Feather Mirror Fan is specially designed to transfer bad luck into good luck. Peacock feathers are powerful representations for positive chi and good luck. It has strong power to overturn all kinds of harmful energy and bad luck. Carry such peacock fan amulet all time for its maximum benefit. The dimension of the fan amulet itself is approx. 3.5" x 1.75" x 1/8". 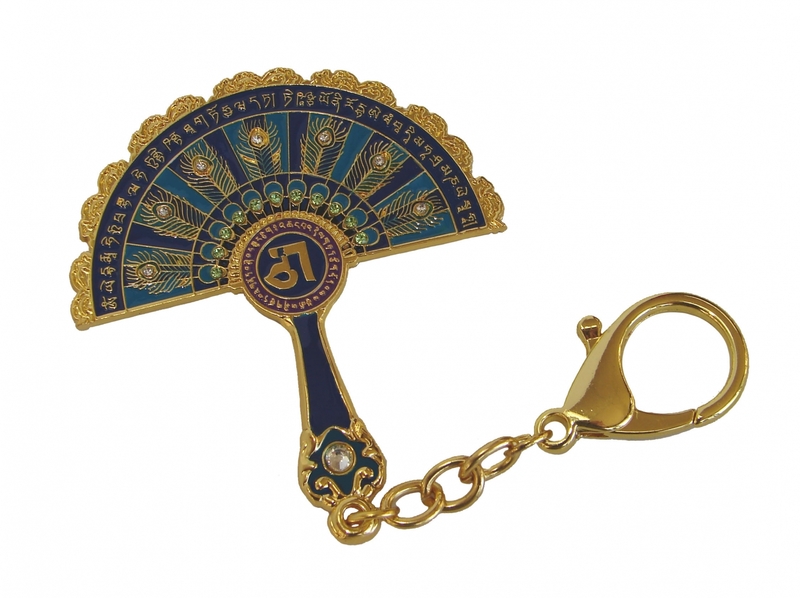 The overall length of the feng shui amulet charm is approx. 5.5". It is made of metal.